Use worktools to lift frequently used items off your desk, while still keeping them within easy reach. Select the products you need to create more space in your work area. 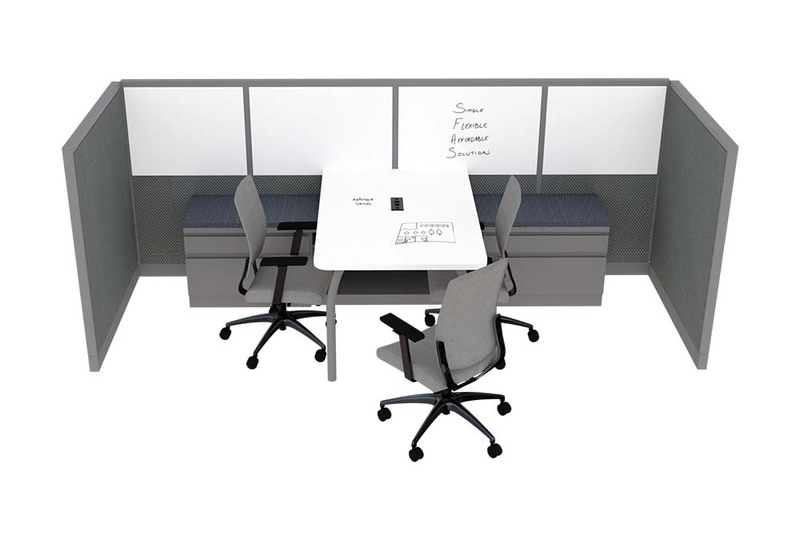 With several products to choose from, you'll be able to customize your space and work more effectively. To view the worktools PDF, click here. Markerboards have been gaining considerable popularity in recent years due to their fun and functional capabilities. Markerboards are being specified on everything from full size panels, segmented panels and even full size desks and table tops! Use these tools for organization, collaboration and presentations. gen² Panel Stackers are an exciting flexible alternative to create a segmented look to your office. Also, they can be added to your current panels without disrupting electrical or data lines. gen2 Office Furniture has plenty of solutions for all your ergonomic needs. Click here to view the Gen2 Power Hub page.